In the Bad Kleinkirchheim region, guests quite literally immerse themselves in the rolling hills of the Nockberge mountains. The region enchants visitors with its unique combination of breathtaking mountains, romantic lakes and soothing thermal waters, and with a string of southern sunshine moments from early until late. Winter enthusiasts are in for a treat in the Bad Kleinkirchheim region. 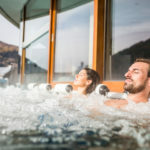 In addition to skiing, snowboarding, cross-country skiing, tobogganing, ice-skating, snow shoe or winter hiking, holidaymakers may also dive into the waters of the region’s two thermal spas. 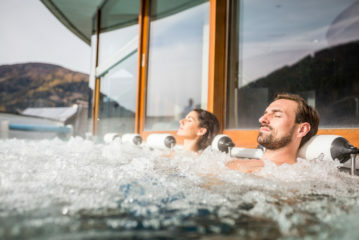 A soak in the healing waters of our thermal spring is the best way of preparing you for your next stint on the slopes or the hiking trails in this idyllic, snow-covered landscape. The ski resort of Bad Kleinkirchheim is located at an altitude from 1,100 to 2,055 metres and offers stunning panoramic views of the Southern Alps. The resort offers particularly gentle, wide pistes: 24 lifts provide access to 103km of pistes that give skiers and snowboarders of all abilities room to hone their skills. Four ski schools with professional childcare or the ski kindergarten will introduce our youngest guests to the basics. 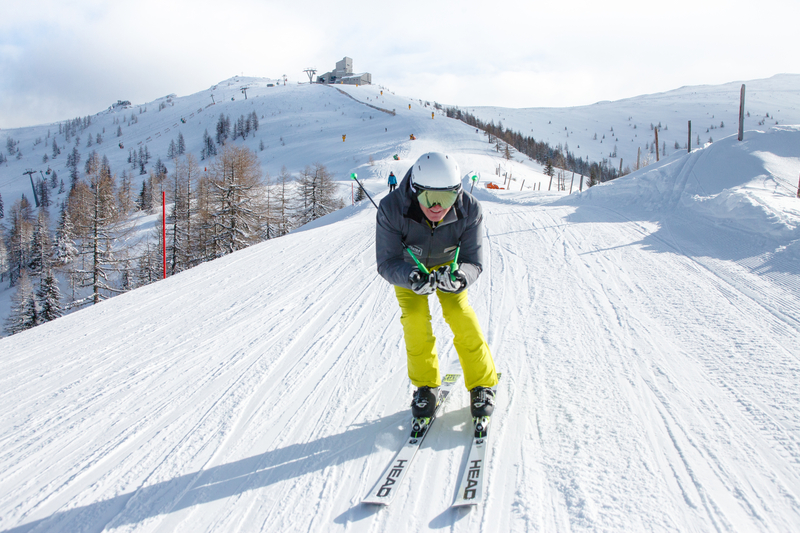 Experienced skiers will delight in our multi-faceted pistes that cater for all levels of difficulty, with 18km of easy, 77km of intermediate and 8km of black runs, among them the famous “Kärnten – Franz Klammer” World Cup downhill run. Artificial snow is available on 97 percent of the resort that spans 300 hectares in total, making for guaranteed snow and unfettered skiing fun. 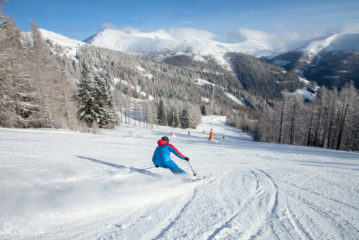 The multi-faceted, family-friendly ski resort of Bad Kleinkirchheim has something for everyone: Early risers will delight in being the first to leave their tracks in the glistening snow of the Nockberge mountains range during an early-morning skiing session with ski legend Franz Klammer, catching the first rays of the sun. The Snowpark is the first port of call for freestylers and the perfect place to gather speed in steep curves and over obstacles, for a final adrenaline rush in the timed section. 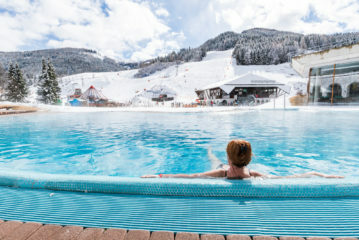 The Zauberland and the Kids’ Slope are the ideal setting for teaching the youngsters the basics of safe skiing, while the parents soak up the sun on heated loungers or recharge their batteries in a sauna or massage cube. After a day’s skiing, the whole family will enjoy a session in the Familientherme St. Kathrein or the Römerbad thermal spa. The Bad Kleinkirchheim ski/thermal spa bus takes winter holidaymakers from the slopes directly to the thermal spas and back again, depending on what you feel like on the day. Bad Kleinkirchheim also holds plenty of sunshine moments in store for those who prefer to enjoy winter away from the slopes. The Nockberge Biosphere Park offers countless magical winter encounters. An insider’s tip is the snow shoe hike “Gourmets in the Snow”, linking breath-taking moments in the mountains with traditional Alpine cuisine. The idyllic winter landscape around Bad Kleinkirchheim and Feld am See is just waiting to be explored on a network of hiking trails spanning 60km that wind their way through the Southern Alps, while cross-country skiing in Bad Kleinkirchheim or on one of seven natural tobogganing trails. 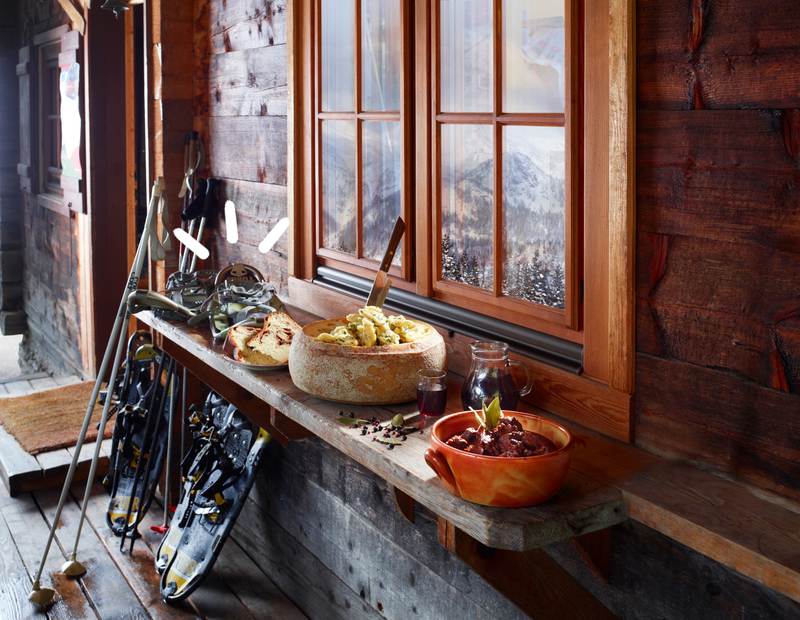 For ultimate bliss, head for one of 23 rustic mountain huts in the ski resort, where you can replenish your energy levels with regional specialties. Get in the mood for Christmas at the Alpine Spa Advent, which is a far cry from the hectic lead-up to the season in the cities and shopping streets. On the Friday and Saturday of every Advent weekend, seasonal specialties of Alpine-Adriatic cuisine tickle the taste buds and traditional arts and crafts such as wreaths, candles, Christmas tree decorations and nativity scenes show the season from its most creative side. Following a ride in a horse-drawn carriage through the idyllic mountain village or an ice-skating stint in the Kurpark, head for the Advent market to taste the seasonal delights that are typical of the region.